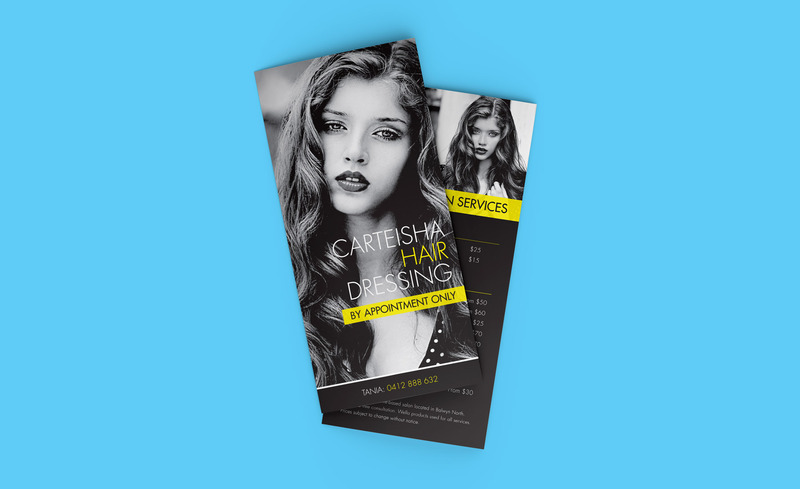 Our DL flyer is home-based salon Carteisha Hair Dressing’s primary marketing method, so it needed to be a stand-out. Yellow is used as an accent colour to catch the eye and make all the important bits pop. 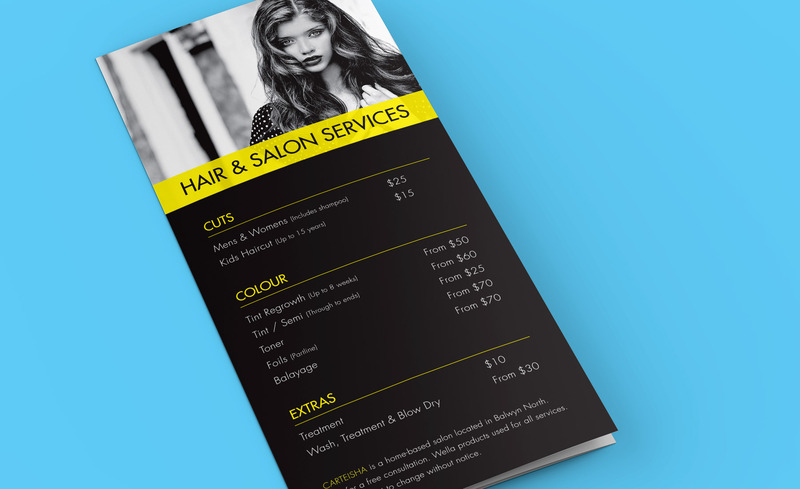 The flyer design is consistent with other pieces we created for Carteisha including business cards and product price labels.